The various ideas, methods, and tech-niques to optimize the overall compensation package for key employees and principals are examined in this mini-course. Generally, businesses may deduct employees’ pay including wages, salaries, and other perks. Certain fringe benefits that can provide an unusually tax-favored manner of supplementing compensation are described and evaluated. In addition, equity participation is explored through stock sales, repurchase agreements, incentive stock options, ESOT’s, stock options, and bonuses. Finally, deferred compensation arrangements are investigated. 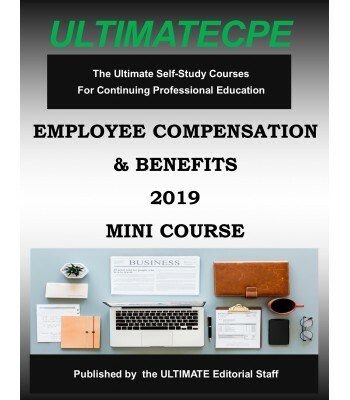 The goal of this mini-course is to provide participants with a working knowledge of types of compensation necessary to structure a compensation package minimizing tax liabilities and cost.